please read the description below ;). Select Small Medium Large X-Large 2XL 3XL - Out of stock - notify us! 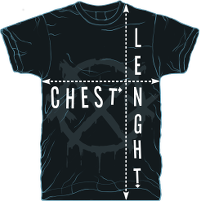 4XL - Only 1 available! 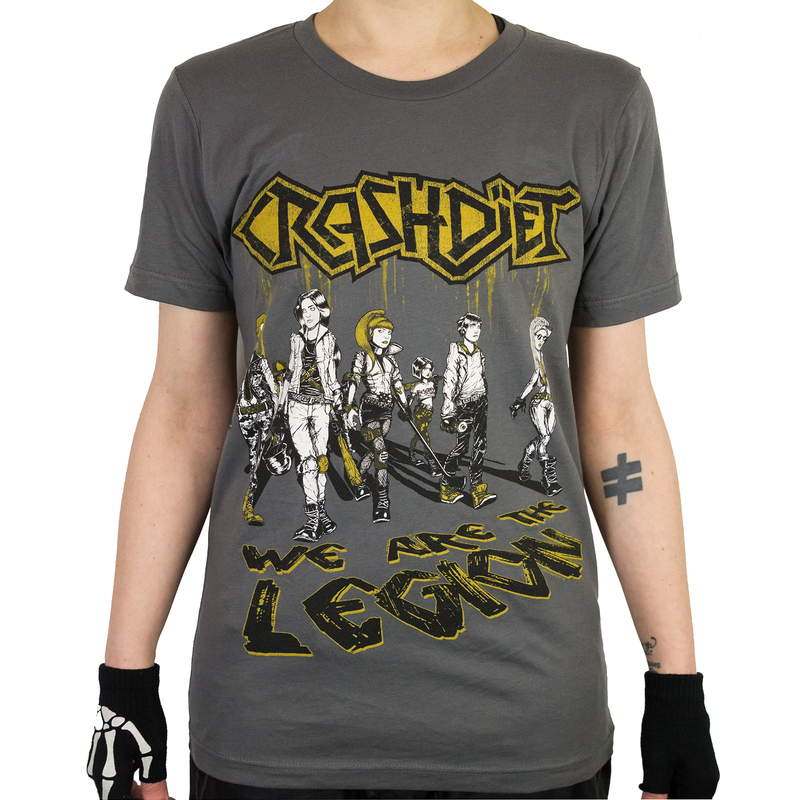 We thought the cover artwork Christel Mentges did for the We Are The Legion EP looked so great that we turned it into a t-shirt! Printed on Bella & Canvas Unisex Jersey Unisex t-shirts, a little pricier than the standard Gildan & Fruit Of The Loom, way better quality and feel though, you won't be disappointed :). Please note that 2XL and up is printed on BLACK t-shirts instead of grey... this is due to the fact that there was not a single supplier in Europe who had the larger grey ones in stock, and we couldn't wait longer ;). The black ones look great too though, picture coming up soon. S 46 cm / 18" 71 cm / 28"
M 51 cm / 20" 74 cm / 29"
L 56 cm / 22" 76 cm / 30"
XL 61 cm / 24" 78 cm / 31"